After the season’s first 15 games, the St. Louis Cardinals are 9-6 and in second place in the NL Central. And all 15 games have been against the other four teams in the Central, as the Cardinals finished up their series in Milwaukee by falling to the first-place Brewers 5-1 yesterday. 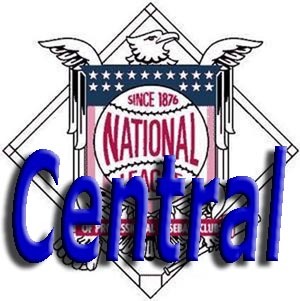 Before moving on to face the Washington Nationals for four games starting tonight and the New York Mets for four after that, is there anything we can learn from those first of 19 match-ups have with each Central team? The Cards lost just one of the five series they’ve played, only taking one of the three games in Pittsburgh against the Pirates. Otherwise, they’ve won two of three against everyone else. That’s good to see — and especially good was stopping the nine-game winning streak the Brewers had coming into play on Monday. The Brewers have to be the surprise of the NL Central so far, even though we’re just in the third week of the season. They have the best record in the majors right now at 11-4 and were the first team to double-digit wins. Their pitching is the best in MLB at the moment, with a team ERA of 2.17, with their starters ERA 2.52 and their bullpen ERA an incredible 1.33. What are the odds, however, that the Brewers pitching will still be so sparkling when the Cards meet them again on April 28? Looking at the rest of the Central, the Cards overall ERA is 3.51 with the starters at 2.78 (third best in the NL, behind the Braves and Brewers) and bullpen at 5.06. The Reds are slightly better overall with an ERA of 3.50, though their relievers ERA is even worse at 5.18. The overall ERA for their starters is 2.94. In the standings, the Reds are 6-9 and in fourth place. The Pirates have been on a bit of a slide recently, getting swept by the Brewers last weekend and then losing two of three to the Reds. They’re currently third in the division with a record of 7-8 and start a home stand tonight against the Brewers and then Reds. Pitching-wise, their overall ERA is 3.74 — and the starters ERA shows where the struggles have come, since it’s 4.25. Their bullpen has an ERA of 2.74. Then there are the Cubs, not surprisingly in last place at 4-10 (and having just been shutout in a double-header against the Yankees yesterday — the first time since 1962 they’d not managed to score at least one run while playing 18 innings a day. That was so long ago Lou Brock was on the team at the time!) Anyway, the Cubs overall ERA is 4.01, with their starters at 3.98 and their relievers at 4.05. Interesting line for the Pirates (and their team batting average is last in the NL, by the way) — all those homers they’ve been hitting (19 total, second in the NL) boost that slugging percentage, but that seems to be about the only time they get on base. Now the Cardinals are off to face the NL East, though, and the Nationals also are 9-6 and in second place. On offense, the Nationals numbers are strong so far: .269/.335/.459, with that batting average second-best in the NL. The Mets are 8-7 right now, although it doesn’t look like they’ve been getting it done with their bats as the team is hitting .229/.294/.381. Pitching-wise, the Nationals overall ERA is 3.97, with their starters at 5.00 and relievers at 2.39. The Mets are at 4.33, with the starters slightly better with a 4.15 ERA compared to their bullpen’s 4.66. First up in the Nationals rotations tonight is Taylor Jordan, who’s 0-1 with a 4.76 ERA. He’s never faced the Cardinals before. Up for St. Louis: Adam Wainwright, who has a career record of 6-3 with a 3.17 ERA against Washington. Game time is 6:05 p.m. Central. Christine Coleman is the lead writer for Aaron Miles’ Fastball. Follow her on Twitter, @CColeman802, or email aaronmilesfastball@gmail.com. Also follow @AMilesFastball for the latest updates and like AMF on Facebook if you don’t already. This entry was posted in 2014 Cardinals and tagged Chicago Cubs, Cincinnati Reds, Milwaukee Brewers, New York Mets, NL Central, Pittsburgh Pirates, Washington Nationals by Christine Coleman. Bookmark the permalink.